9/24/2018 ~ One of the problems with the foreclosures that have taken the homes of more than 18 million Americans, is that people generally think they know what that means, what a foreclosure means. At first glance a foreclosure seems to mean that a very particular law has been broken, that someone made a contract to borrow money and then didn’t repay that money, thus breaking a foremost part of contract law. By concentrating on the contract law part of foreclosure “news” has successfully made foreclosures seem like they are always the fault of a bad debt homeowner. How can that not be the case, you may be thinking, “Of course a foreclosure is the fault of the homeowner.” As I say, “news” has been very successful in directing our thinking regarding foreclosures in a particular direction: blame the homeowner. “News” has not blamed banks or Wall Street for derivatives, swaps, bundling, and other profitable methods of capitalizing on mortgages in anywhere near the regularity with which it blamed homeowners for the financial collapse of 2008 that is still affecting many Americans and others around the world. The fact Wall Street made huge money on the mortgages goes unmentioned. Because “news” never laid a foundation on which to tell a broader, more accurate story, the laws that are just as important as contract law are largely ignored. That is, people are generally ignorant of the part other laws like the Uniform Commercial Code and even the United States Constitution play, or should play, in foreclosures. When Wells Fargo attached a copy of my original note to its Complaint for Foreclosure in 2008, but hadn’t actually seen the original note since 2002, Wells Fargo was not following the law of the UCC (Uniform Commercial Code) regarding who is entitled to enforce a negotiable instrument, which is what an original note is. 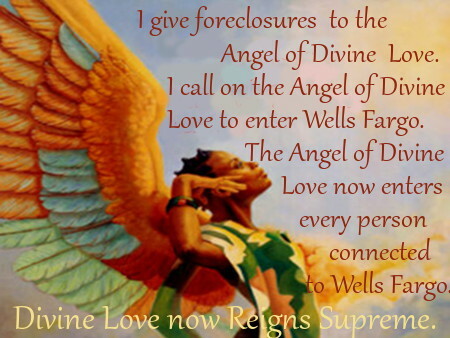 When I saw that Wells Fargo had not served me, I felt it meant that Wells Fargo had some sort of problem inherent in its foreclosure and wanted to get a quick default judgment against me, without me having any chance to answer or fight. I am reminded that studies have shown that 86% of foreclosures have some form of irregularity that points to fraud. But, most people, most Americans, aren’t aware of the laws that are involved in foreclosure, so they blame and shame the victims of banks, rather than coming to the side of homeowners in a show of solidarity against the fraud and greed of taking homes by using violations of the UCC and the U.S. Constitution. Please share and retweet this article, to further the understanding of laws involved in foreclosure, to clarify the meaning of foreclosure. And, if you know who the artist is who created the artwork, please let me know. I couldn’t find an instance of credit being given to the artist.